This boutique is currently on holiday until 09 May 2019. Orders will be processed after they return. 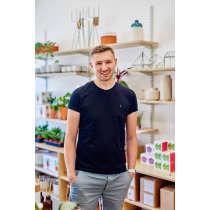 Spotting an opportunity in his hometown of Birmingham for a design-led lifestyle store, Lewis Jenkins decided to open Kin Home. Stocking a hand-selected range of homewares, gifts and stationery, it's the perfect location for shoppers seeking beautiful, functional items they won't find everywhere else. "When choosing products I often start by considering whether I would own this, does it look good and is it practical? It's important to me that the products and brands we stock are ones that I have a passion about."